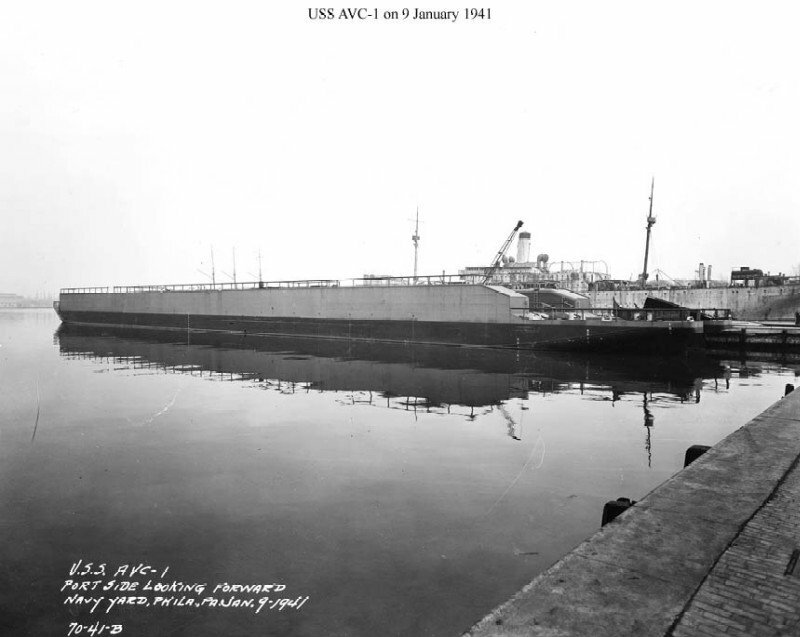 ↑AVC-1 at the Philadelphia Navy Yard, 9 January 1941, about a week before being placed in service. US National Archives Photo from RG-19-LCM. Image courtesy of NavSource.